Milan has five main train stations, three Metropolitan lines, and a public transportation network that is growing. Here's how to get around Milan using public transportation, from the airports to Milan's city center, using our handy Milan Transportation Map. The Milan Transportation Map shows Milan's three major subway lines, called Metropolitana and identified by signs with the background color that you'll see on the map and an "M". The three lines are Line (linea) 1, the red line, Line 2, the green line, and line 3, the yellow line. There is also the blue Passante Ferroviario, an urban rail line. The map only shows the lines in the center of Milan. These are the major urban stops that a tourist will be concerned with. The black boxes are lines that connect with railroad stations, the largest of which is Milano Centrale, in the north quadrant of the map. Where the line continues off our map, the label in capital letters gives you the line and last stop (direction). The Duomo is the center of Milan. Most of the tourist sites are within an easy walking distance of the Duomo. Milan's largest airport is the international airport Malpensa. 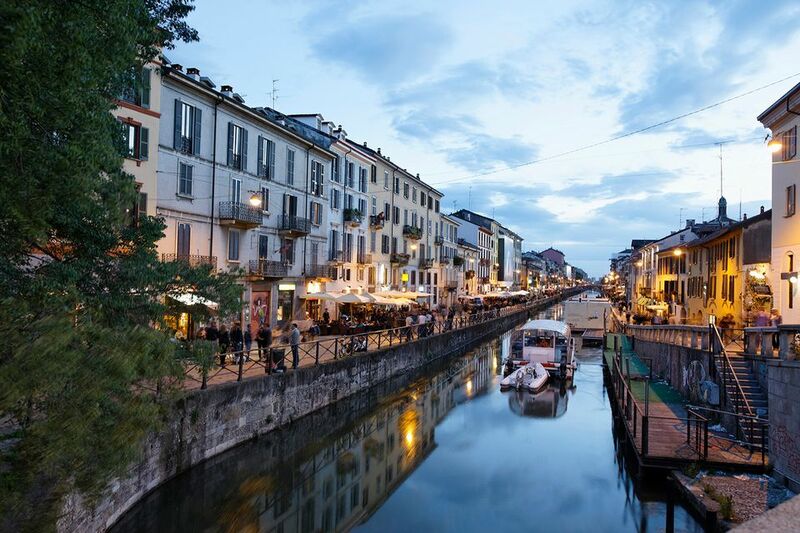 It is located to the northwest of the city of Milan and is closer to Lake Como than it is to Milan. Malpensa can be reached by train using the Malpensa Express from either the Centrale or Cadorna Station. See the Malpensa Express for times and ticket information. You can now buy tickets ahead of time online or at the station. You'll pay more if you buy it on a train. There are automatic ticket machines at Milano Cadorna and Centrale stations and at the Airport. Malpensa Express trains feature low entry platforms and access for the disabled. Cadorna station is located near the Castello. You can take a taxi from the taxi stand on the right as you exit the station or the Metropolitana green line directly in front of the station to get to Milano Centrale, where trains leave for just about anywhere in Europe--and you'll find plenty of hotels. Malpensa is also served by bus service from Milano Centrale, Milan Central Station. Malpensa Shuttle departs every twenty minutes. Shuttles also run to the smaller Linate Airport, to the east of Milan, and to Bergamo Airport. The Castello Sforzesco is directly behind the Cairoli stop. From the Porta Venezia station, one can easily visit the Museum of Science and Technology, situated in a former monastery. The Conciliazione station, the first stop west of the Cadorna station, is near the church of Santa Maria delle Grazie, where Leonardo da Vinci's ''Last Supper'' can be viewed. From the Duomo stop, one can stroll not only the Duomo but through the Galleria Vittorio Emanuele to La Scala.